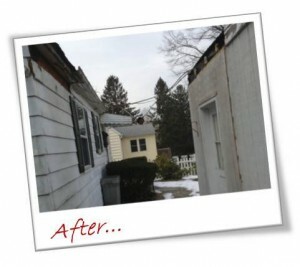 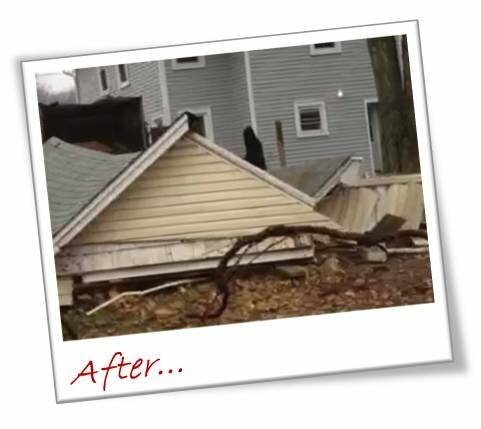 Superstorm Sandy caused a tree to fall on this garage in Scotch Plains, New Jersey. 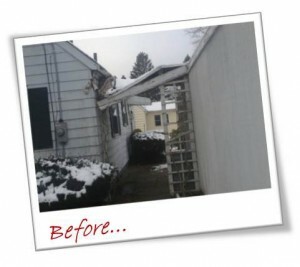 Since there was nothing to the left of the garage, we cut through the roof rafters and allowed the structure to fall. 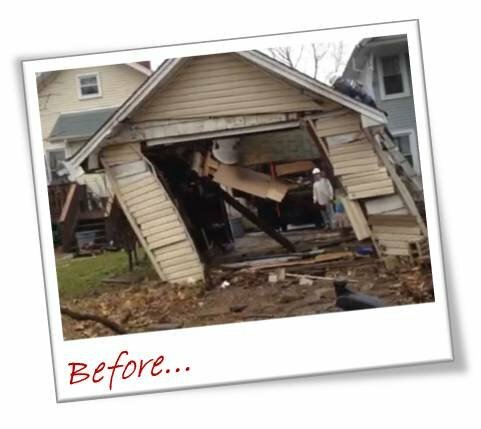 We proceeded with dismantling of the garage and hauled it away.